Examine Your Sewer Line with a Sewer Scope Marysville! The bottom line is that you cannot truly know what is causing clogs unless you actually SEE it. A sewer camera inspection helps you do exactly that and even provides you with a DVD copy for your records. 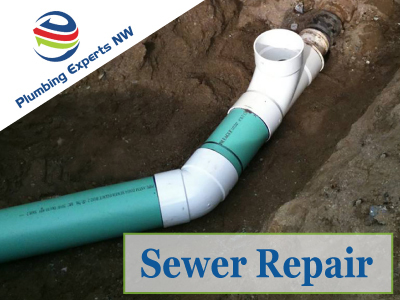 We have experience, and for a sewer scope Marysville WA homes will certainly need, there's no better place to turn than the experts at Plumbing Experts NW. Of course, the video doesn't do all the work itself. You definitely want a sewer technician you can trust for a proper diagnosis of what they are seeing (much like a doctor during any medical exam), and to give you clear options for how to perform sewer repair or other actions. Reviews of our Plumbing and Marysville Sewer Repair Work!